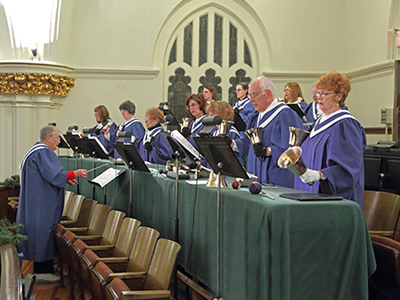 The adult handbell choir participates monthly during worship services and other special events throughout the church year. They rehearse at 6 p.m. on Wednesday nights (Sept – May). A good sense of rhythm and good motor skills are the only requirements. The bell choir is directed by Steve Bixler.